All suiseki collectors can take part to the Crespi Suiseki Cup 2019. Everyone of them can be present as an individual participant or as a member of a club or an association. 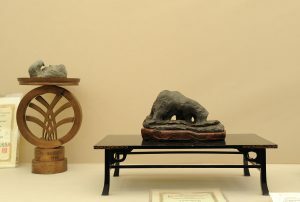 No more than 50 suiseki will be appreciated in this exhibition. 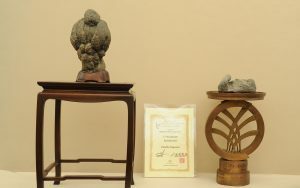 a voucher for the amount of 1.000,00 € for purchases in the Crespi Bonsai shop; the Crespi Suiseki Cup. – Send a photo of your suiseki and specify its height, width, depth, length and classification – together with name, surname, full address, phone no. and e-mail of the owner – to Crespi Bonsai – Crespi Suiseki Cup 2019 – postal address: Corso Sempione 35, 20015 Parabiago (Mi) – Italy – electronic address: crespicup@crespibonsai.it – within 30th June 2019 (the postmark will be considered). To facilitate the process of sending data it is possible register to the page “Registration on-line” or, as an alternative, to use the registration form that you can find on the page “Registration form“, to be printed and sent by post or e-mail. – A pre-selecting jury, whose judgement is unquestionable, will select the best 50 stones among the received photos. – A written notice will be sent to the owners of the suiseki selected for the exhibition. 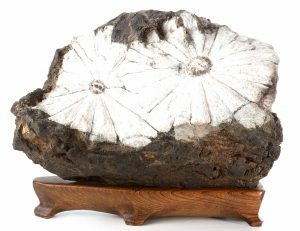 – The owners of the suiseki have to entrust their stones to the exhibition place (Crespi Bonsai, Corso Sempione 35, 20015 Parabiago, Milan, Italy), from 7th to 12th September 2019, during the working hours (from 9.00 to 12.30 and from 2.30 to 7.00; Sunday: from 9.30 to 12.30; Monday: from 2.30 to 7.00). – The suiseki will be displayed without any owner’s reference from 13th to 15th of September 2019. A jury consisting of international experts will select the most beautiful suiseki, whose owner receives a voucher for the amount of 1.000,00 € for purchases in the Crespi Bonsai shop as well as the prestigious Crespi Suiseki Cup. – Crespi Bonsai will make any effort to maintain the entrusted suiseki in good conditions. The winner of the Crespi Suiseki Cup 2017 (ex-aequo): Keisho-seki of Emilio Capozza. The winner of the Crespi Suiseki Cup 2017 (ex-aequo): Abegawa-ishi of Paolo Dassetto.